Joint Worship Service, Sunday, April 19th. at The Presbyterian Community Church of Massapequa at 10:00a.m. On Sunday, April 19th. at 10:00a.m. 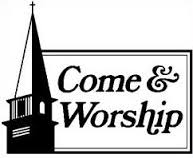 FPCL will join The Presbyterian Community Church of Massapequa at their Church for worship service. (150 Pittsburgh Avenue, Massapequa) Join Reverend Dan and the congregants of Massapequa for worship service. This entry was posted on April 14, 2015, in Uncategorized, Upcoming Events and tagged congregation, faith, following, joint worship, sunday, worship, worship service. Bookmark the permalink.